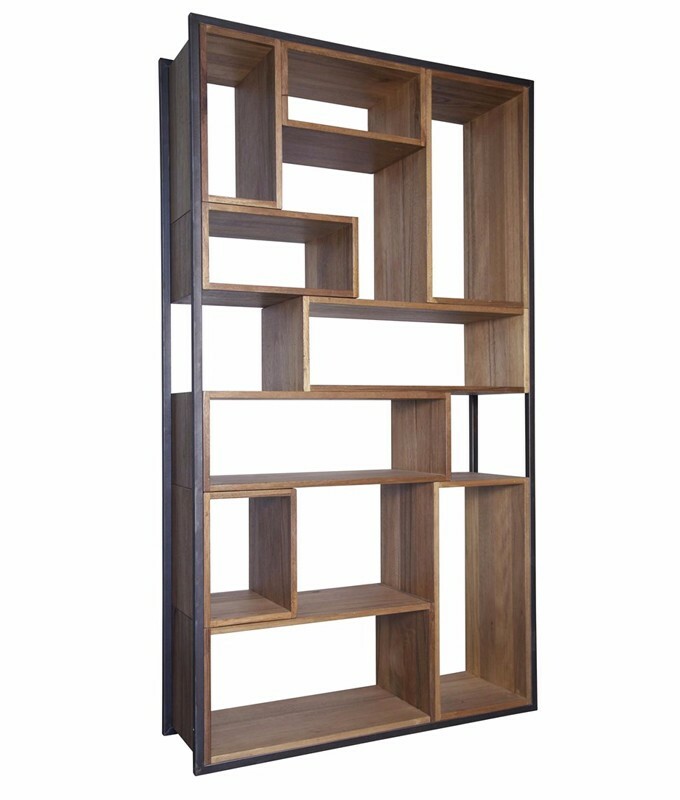 Use this funky bookcase as a wall divider or place flush against a wall! Great design to highlight your favorite books, art, or accessories! Knots, cracks, gouges, or nail holes are inherent in the wood and add character to the piece.